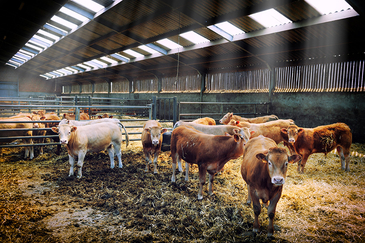 Manure and slurry: Both are ideal and cost-effective substrates that can be easily converted to high-quality biogas, regardless of whether they are generated in individual large-scale operations or in regions where they are being processed. Depending on the underlying conditions, either compact liquid manure plants or industrial-scale biogas plants producing power in the megawatt range and which have been designed by WELTEC BIOPOWER are well suited. 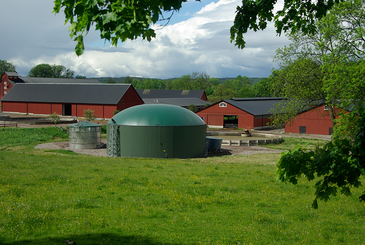 To ensure the efficiency of the biogas plant, we carefully match the plant to your requirements and strategic plans. We develop a customised concept depending on whether you want to integrate the plant in your operations or operate it as a joint project. Thanks to the modular design and stainless steel as the material of choice, our engineers are able to adapt the biogas plant precisely to the individual demands of each operator. When it comes to plant engineering, it is the right combination of components that matters: The high proportion of WELTEC produced parts such as the control equipment and pump stations makes an important contribution in this regard. 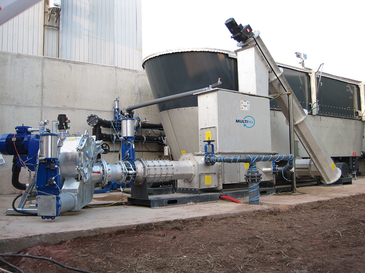 Technologies such as MULTIMix, which makes an important contribution to ensuring that substrate input is flexible and solutions facilitating separation as well as digestate or biomethane processing all serve one objective: that your plant operates efficiently. WELTEC's technical developments in the field of dung and liquid manure input have already received many awards and accolades: The German Agricultural Society has confirmed the outstanding results obtained in degradation rate and gas yield. For instance, the MULTIMix was distinguished with an award for its handling of solid dung in Helsinki, Finland.